This quilt was finished just in time for the festival. It started as a stack of fabric in May, and quickly grew to blocks and then I got stuck and set it aside. Sashing was a word that used to make me uncomfortable. I loved the look, but I wasn't very good at it. I decided enough of that and I got my sash on and finished up this quilt. 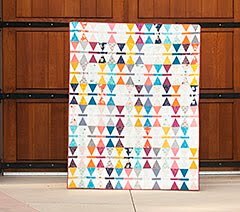 This quilt was made for someone in my family (who hasn't seen it yet!) who is always smiling and a joy to be around. These colors remind me of her so much. She very sweetly asked earlier this year if she could have one of my quilts someday. Heck yeah! Any quilter would jump at those words right?? I love polka dot bindings! This one is Ta Dot in Ocean by Michael Miller. Really pretty! Love the colors and design, great work :) I'm following. Polka dot binding? Uh, yes!! 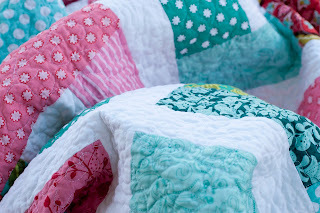 Such a cute quilt and cheery colors! Beautiful! 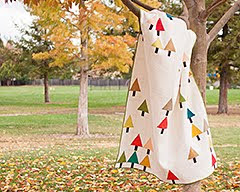 I love the fabrics you have chosen and the back is amazing too! It's beautiful and makes me think of summer. Love the colours in your quilt. That binding is just awesome. i am very partial to the polka dots. It is just so wonderful when someone asks for one of your quilts. It is so satisfying. Love the bright colors with the white and really like the polka dot binding. The special person who gets this quilt is going to smile big! This is really pretty! Thanks for the inspiration! Love to dots too! I love it! Perfect binding. Super simple but so cheerful. Great fabric to go with the pattern. Such a fresh quilt. I know it will bring sweet dreams. It looks so great! Did you use the partial seam method on those? I want to try that, because I love the way it turns out! Great color combination! She is going to love it! This is an amazing quilt! 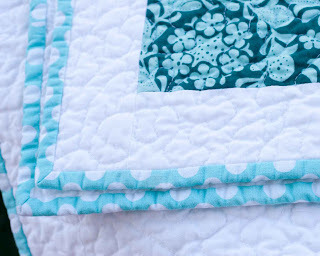 Really really love the quilting you did on the top and all the colors work together so nicely! Great job! I've never seen polka dot binding before! I love it! That shade is so pretty too. 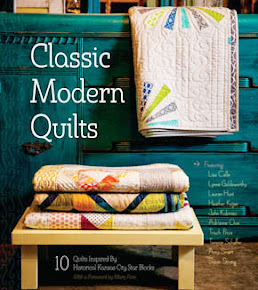 I'm certain this quilt will be very loved. The white was just the right thing to unstick this quilt. 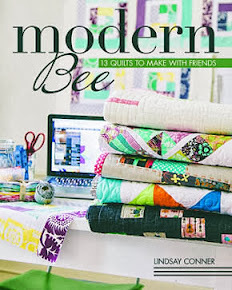 Such a great quilt, and yes when someone asks for one of my quilts I just get right to work! 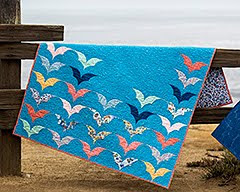 I was so glad actually that people asked for quilts for christmas, makes it way easier when they tell me what they want!! Beautiful! 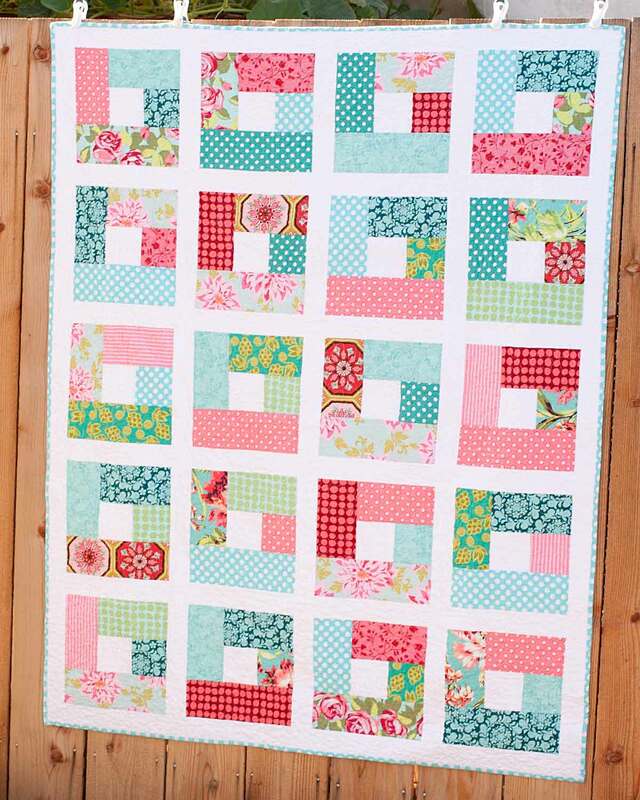 Just love the colours in this quilt and yes it's a very happy looking quilt! Love that polka dot binding! Eeek, I love the colours you used Adrianne! Fabulous job! this is beautiful and fun and i love all the colors. It looks great. The polka dots are very cute. I love the colours of your quilt. Pretty colors and I like how it is all crinkly with the quilting. Oh so pretty............hey ! 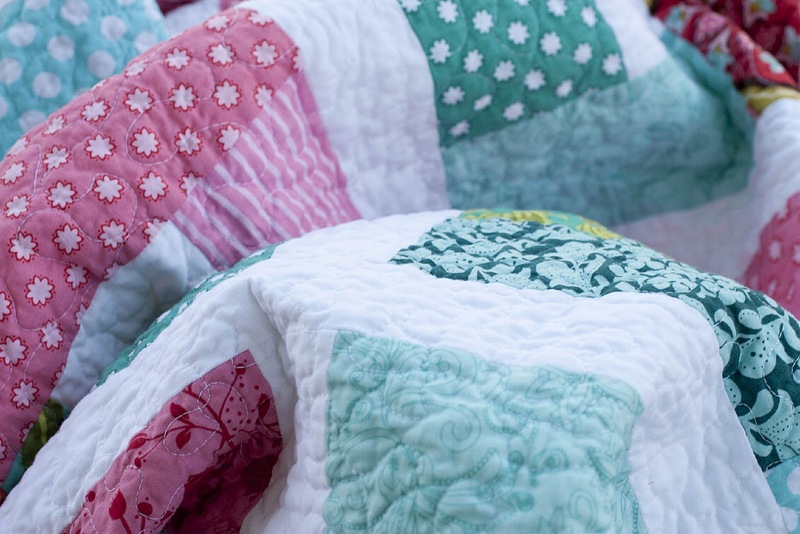 Can I have one of your quilts some day? Just thought I'd give it a shot ! Really, really darling - love the polka dot binding! The colors in this quilt make me very happy. I love sashing - it hides all my sins, lol! Points? What points? Love the colors and the polka dots!!!!! So pretty, Adrianne! And by the way, i love your new header!! I've never thought of polka dots for a binding before...I think I will try it! I love the binding, too! Pinks and blues, how could you go wrong---you sure did right here girl!!!! Bright and cheery, love the polka dot binding. Someone will be smiling when they get this one. This is a lovely quilt. Great colours and fabric in a simple design look so good. I'm glad you put in the sashing. It looks so good in white. Love the binding too. This is a beautiful quilt. the sashing is perfect!! Your family member will treasure it!! It's always nice to conquer a foe. Even if it's only sashing. Nice cherrie quilt. Looks to me like you nailed that sashing! It's lovely. Isn't it great making a piece with someone specific in mind? Gorgeous quilt! I love the colors and I especially love the back with the strip of patchwork with all that white. Yummy! Very pretty! I know exactly what you mean about the sashing and how sometimes the quilt process goes on hold at that point. Like Denise, the polka-dot binding is adorable. Beautiful quilt Adrianne! You are going to make that certain person very happy! Really very pretty , she'll love it ! great color choices and love the polka dot binding too!!! Very pretty! I love these colors and the polka dot binding! I love it! Definitely a happy quilt! 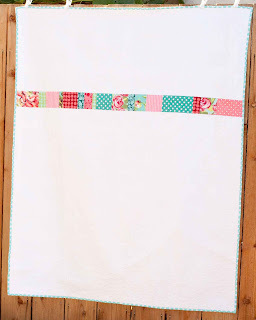 Such a pretty quilt - I too love polka dot fabric and it always makes a fantastic binding. I have joined the BQF for the first time. So looking forward to checking out all the blogs. Very pretty, great colors. Nice job! 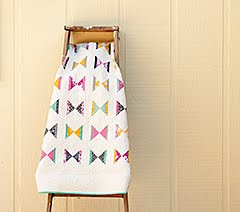 I am sure the recipient will love it....I agree, nothing better than making a quilt for someone who loves it! 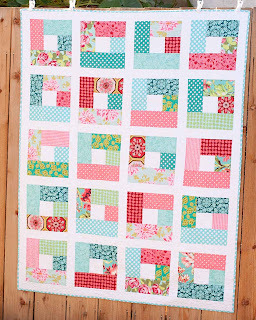 What a simply charming quilt, very light and fresh and cheery. Thanks for sharing. Hope you can stop by and see my antique 1890 schoolhouse quilt and my black/white/pink scrappy miniature. The quilt is perfect! I love it when it's just out of the dryer and all crinkly. Thanks for sharing! You did a fabulous job with your sashing! Pretty colors...I'm sure your family member will love it. Such happy colors! It is very pretty and I'm sure the recipient will love it! It's beautiful! I love the fabrics you chose!!! Thanks for sharing! Very beautiful quilt... The colors are Yummy! 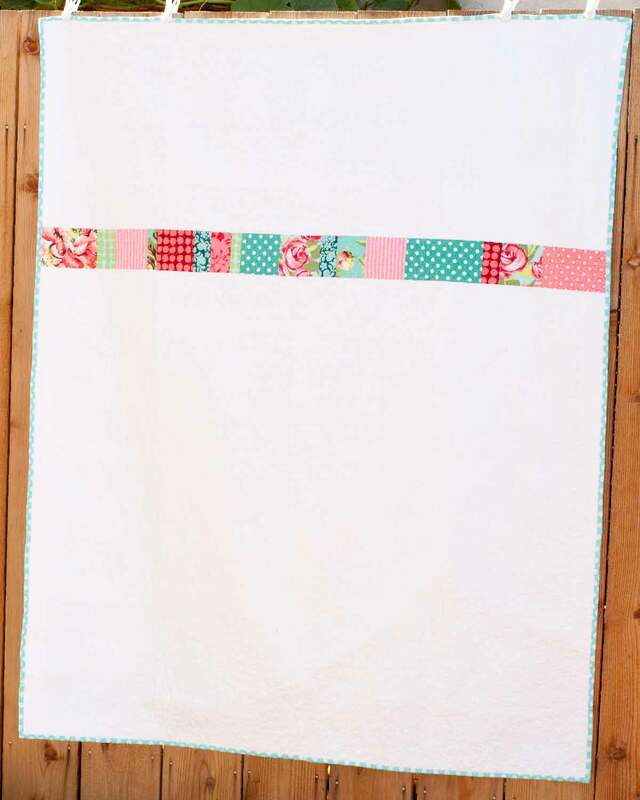 Such a cheerful quilt - the sashing really makes it so it's a good thing you overcame your fear! Polka Dot anything is fantastic, especially bindings. Thanks for sharing! I love, love, love the colors and the binding! Great Quilt! This is so cute! I really like the fabrics you chose too! Good work! The colours in this are beautiful and I love the binding especially. great quilt!! just love tourquoise with pink and white...always so friendly and cheerful. just puts a smile on your face to see your quilt. so nice someone's going to get it and know you love them...and YES, so wonderful to have someone ask for a quilt. my dil asked me to make her one and i just get teary thinking about it and how much she loved it. she picked out fabrics i'd never have combined but it's become one i like. have a great day and thanks for sharing! I love this quilt. It's my favorite out of all the quilts in the festival. Beautiful. Wow, I just love the colours on your quilt. Its so fresh and sweet. Thanks for sharing. Isn't it cool how a project evolves from fabric to finish? I love it that you tried something new and just let it flow. To me, that's quilting! Bravo! You should have gotten your sash on sooner if this one is any indication, it's so bright and cheery! What a happy quilt! I love the polka dot binding. Checks have always been a binding fav of mine, but I might have to add polka dots into the brew now. Inspiring!